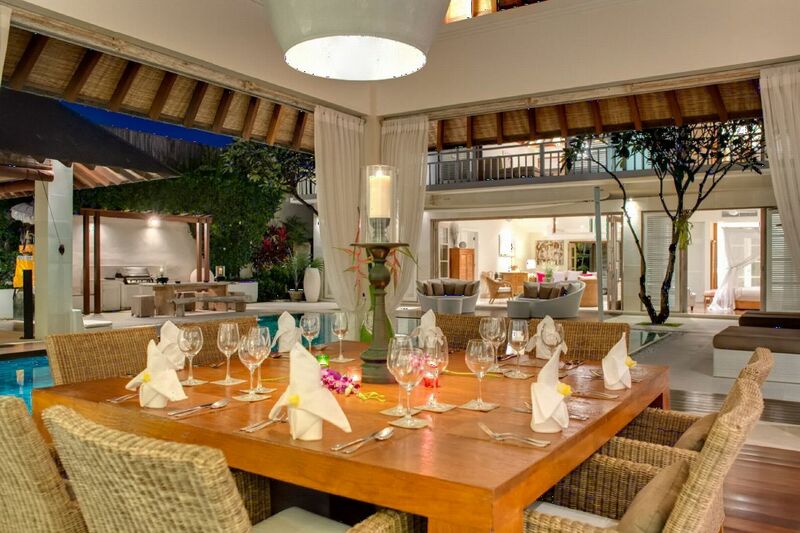 Only 500 meters from the beach of Seminyak and at a walking distance from the most famous restaurants of the island, the villa Jajaliluna is perfect for all kind of cuisine land shopping lovers. 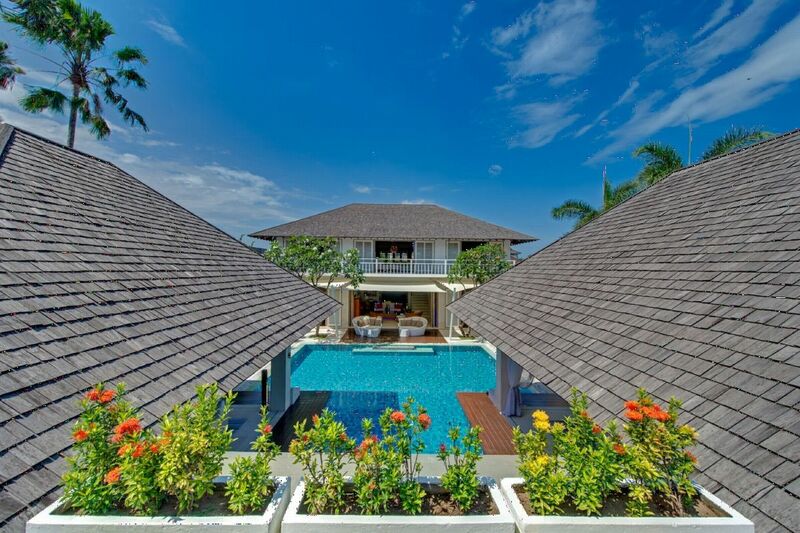 The beautiful black sand beach near the villa enables you to go running, walking, building sand castles and of course lazing on the beach. 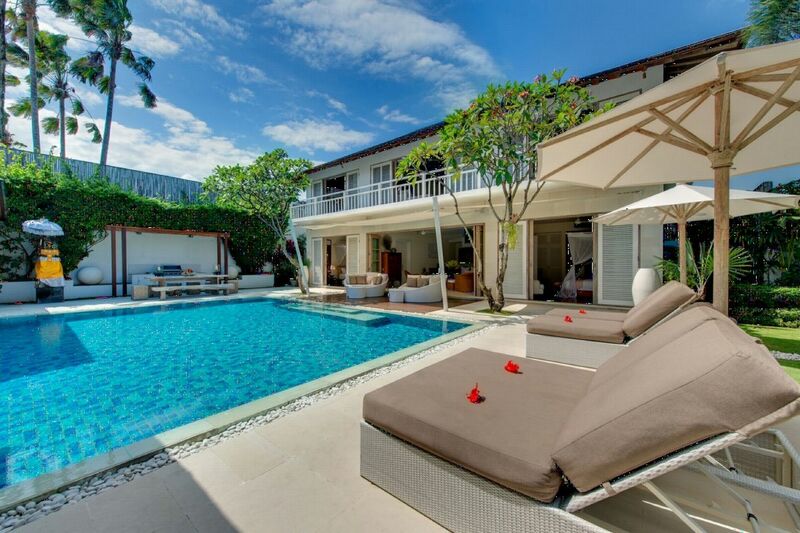 Surf spots are numerous nearby the villa and swimming is possible in the sea. 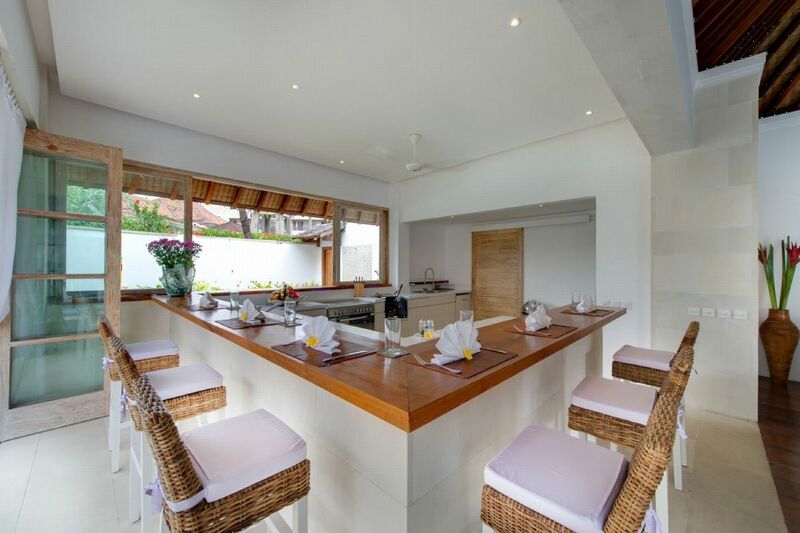 In the evening, you will enjoy the beach, still lively and enjoy the breathtaking sunsets. 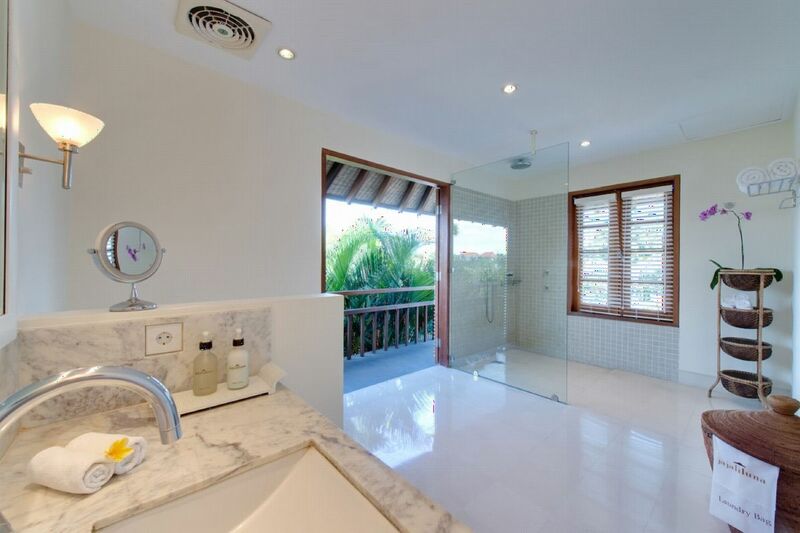 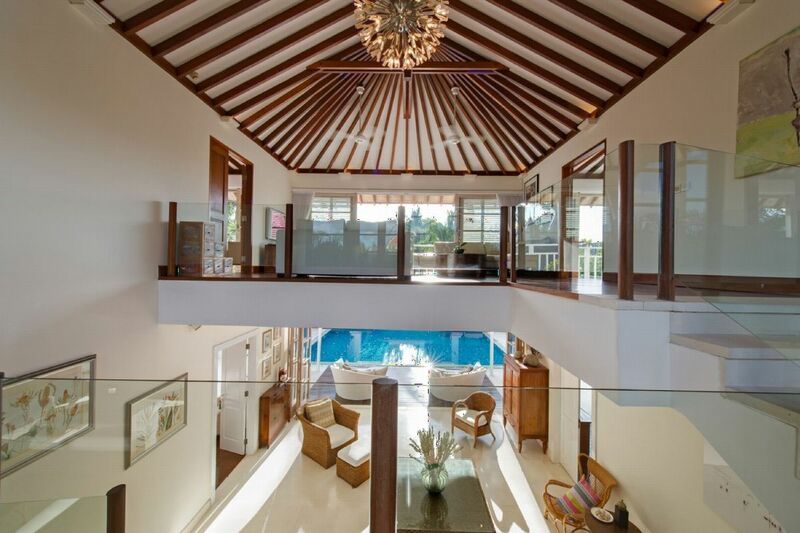 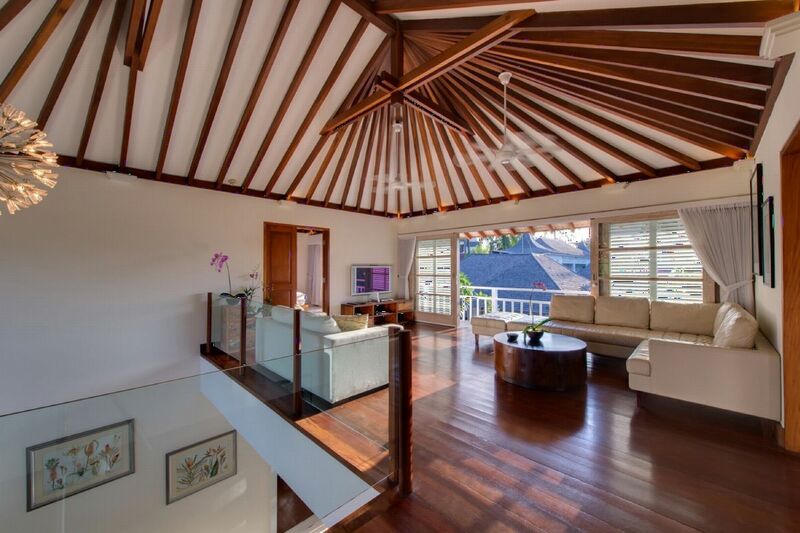 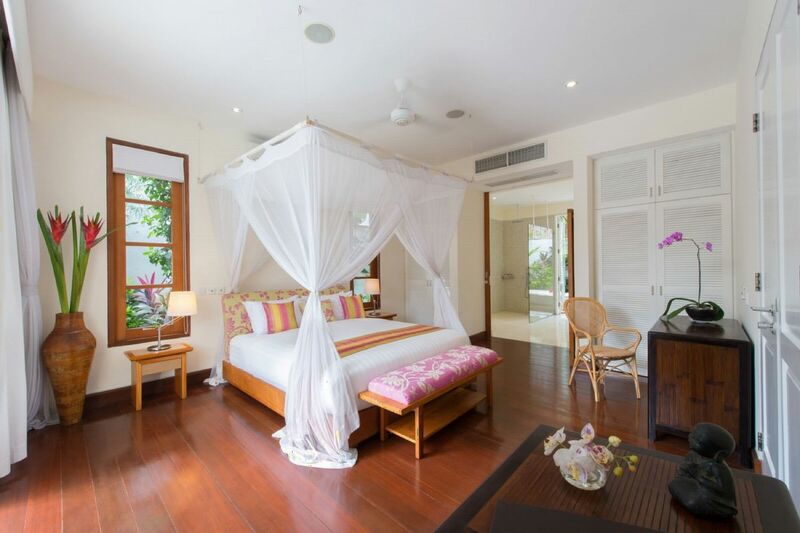 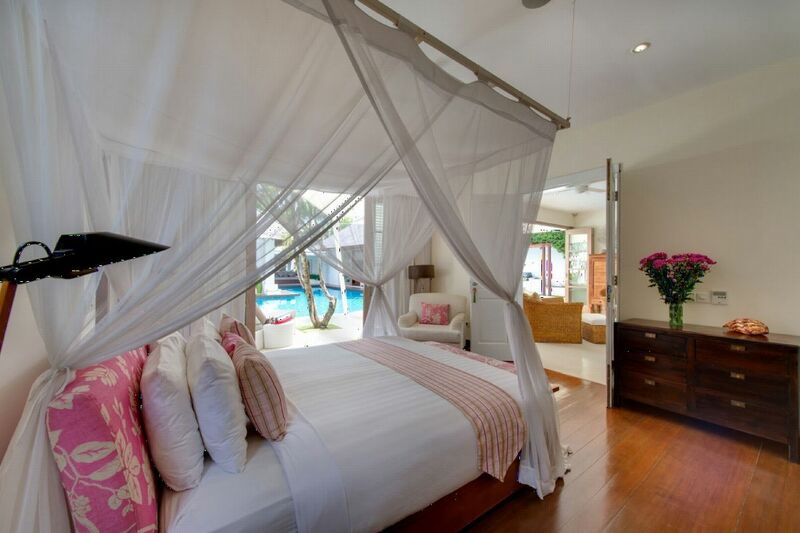 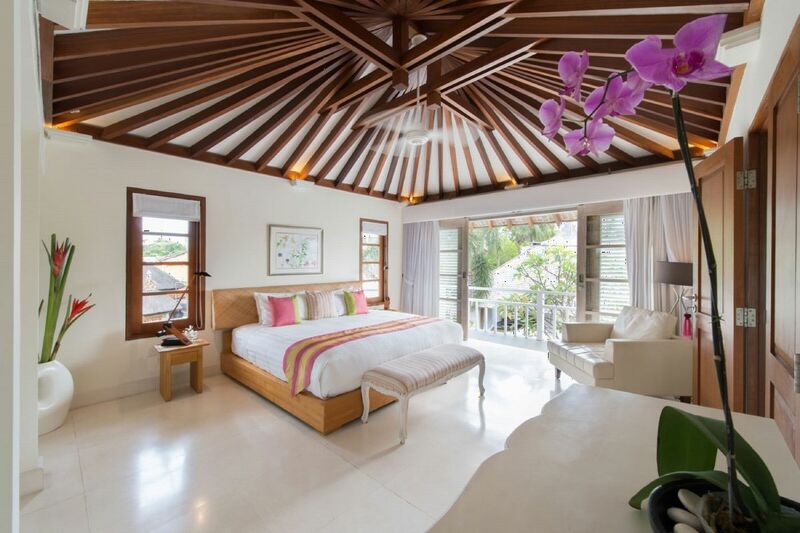 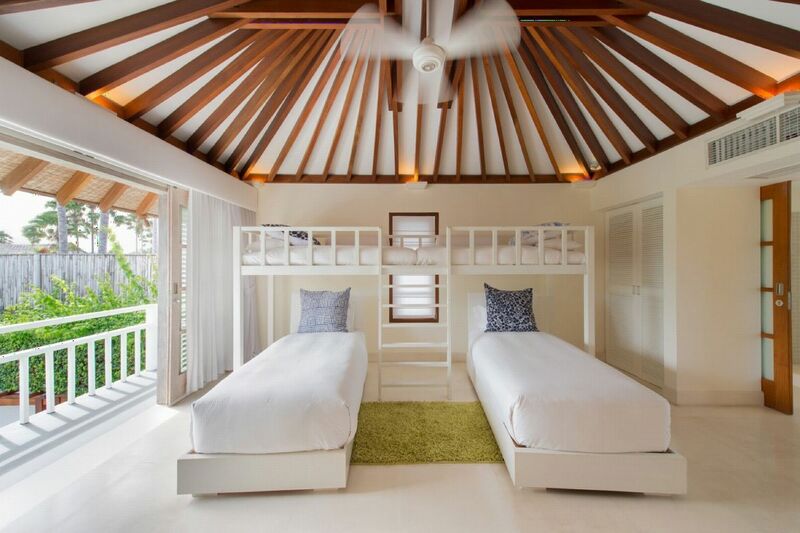 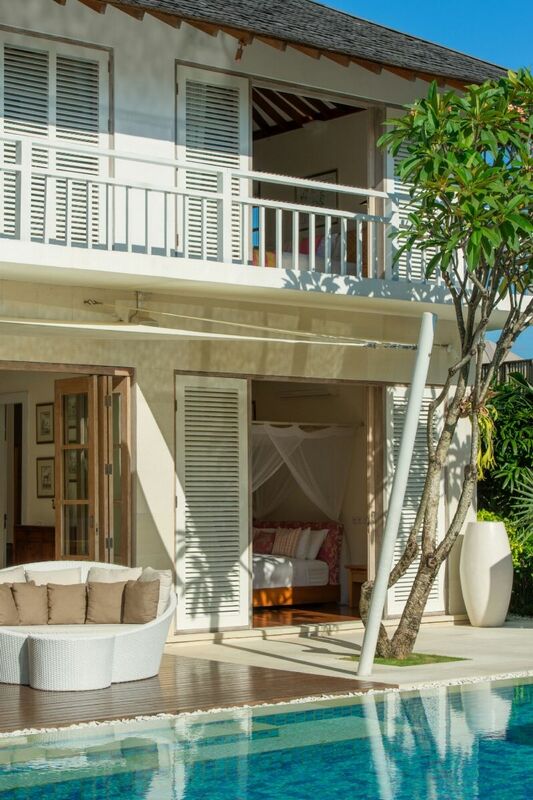 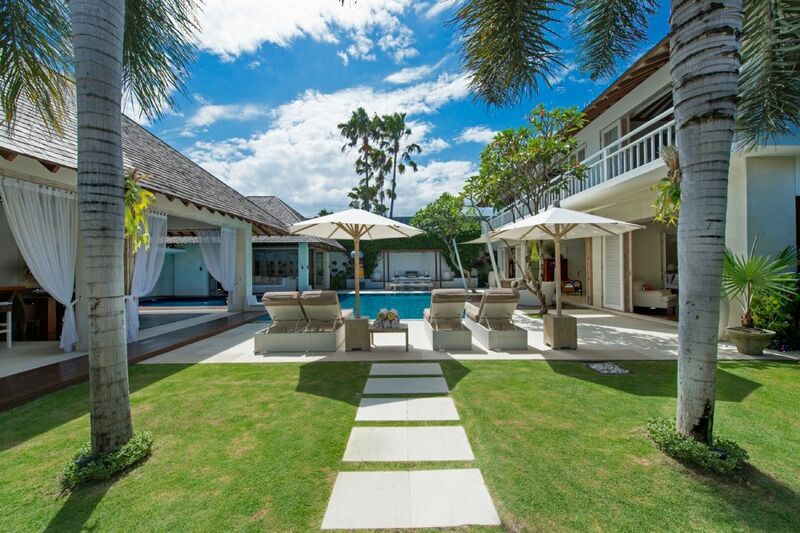 If you are looking for a cozy villa in the heart of Seminyak area, sophisticated, elegant and ideal for families with children , then villa Jajaliluna is perfect for you. 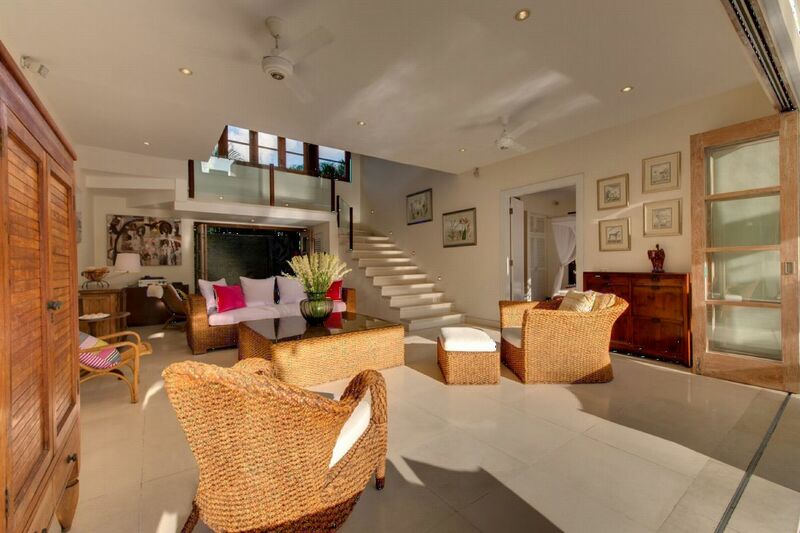 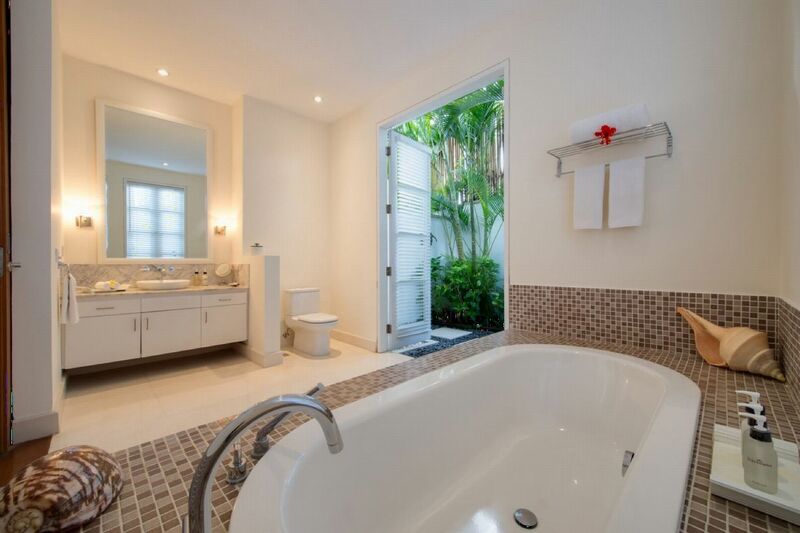 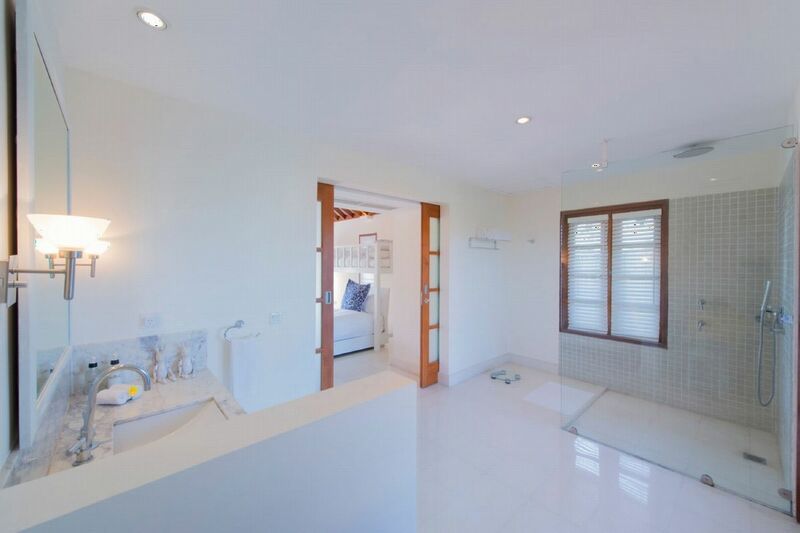 Steps away from the beach, this four-bedroom home is hidden behind a wall of vines and coconut palms. 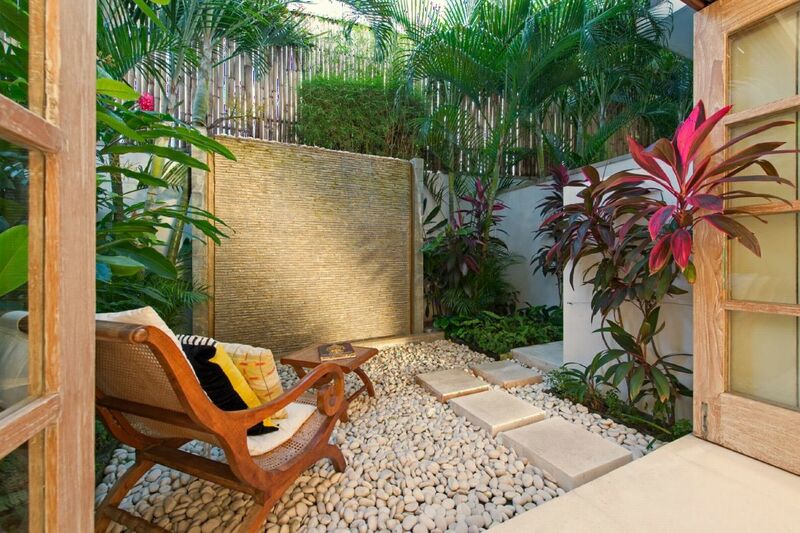 It offers complete tranquility and privacy in a quiet neighbourhood. 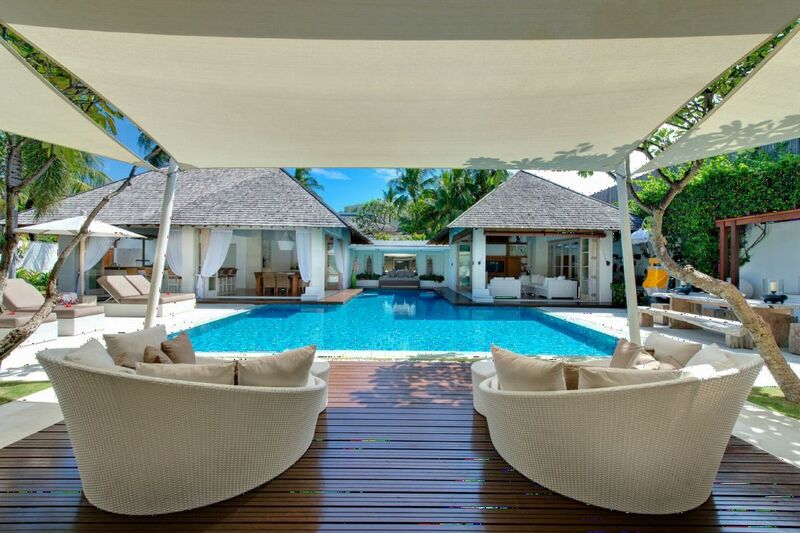 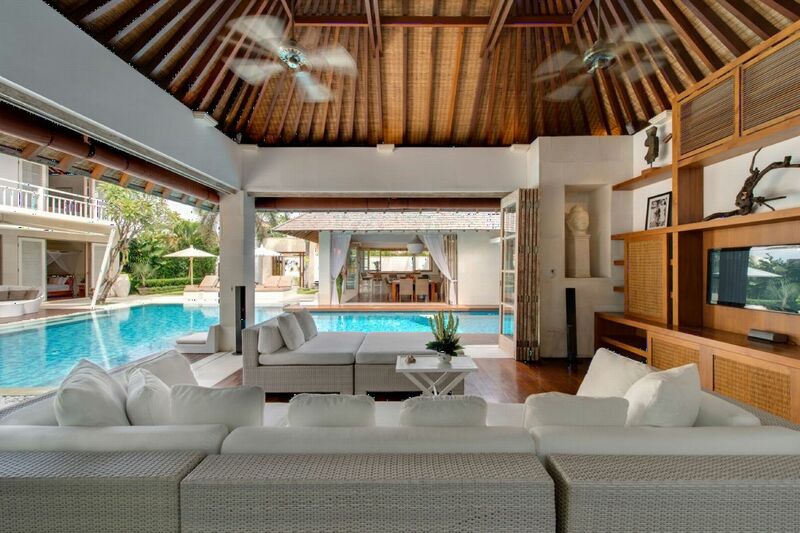 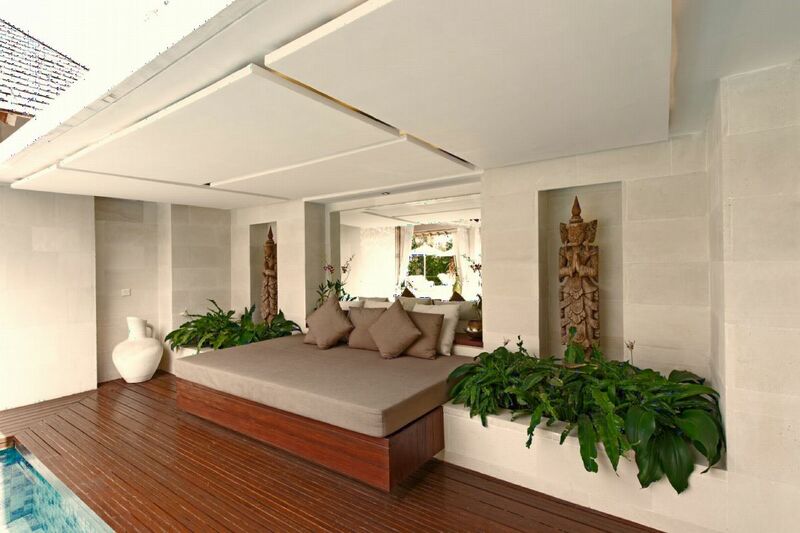 The sober decor creates a soothing and calm atmosphere for those who prefer to enjoy the serenity of the villa, the pool and the video room.